Everyone has something that they want to keep from prying eyes. It may be personal property or private papers. What ever that has to be hidden the home has many possibilities. The most convenient and the most popular is the simple hard cover book. As innocent as a book may seem it has served people down through the ages as a good hiding place. 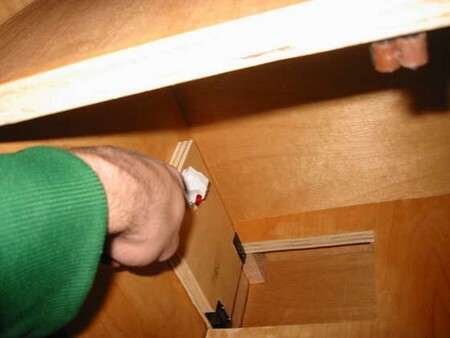 Simply follow these simple guidelines and build your secret compartment the easy way. First remove the dust jacket from your book. You will use it later, along with the first few pages which will serve as a cover for the secret compartment. You will need at least 25 pages left untouched by your craft knife. Once you have laid this out, combine equal amounts of water and white glue. Get the plastic wrap and use it to protect the back cover, several front pages and the front cover from glue spills. You don’t want to leave any trace of glue on the book as it is a tell tale sign that it has been tampered with. Once you have everything in its place, use your glue mixture to make the remaining pages of the book stick to each other. Use your paintbrush to apply a generous amount of the glue on the top, side and bottom area of each page. Keep you glue line about ½” back from the edge, invisible from casual inspection. After applying the glue, keep the book closed, place a heavy object on it to keep the pages intact and allow the glue several hours to dry completely. Once the glue has dried, remove the protective plastic covering from both sides of the book. 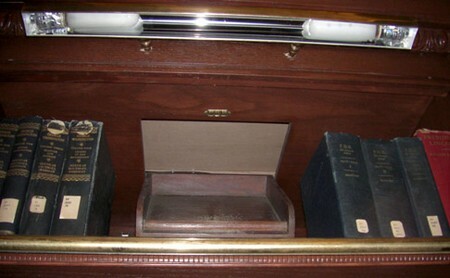 Measure the desired length, width, and depth of the secret compartment. Use your pencil and a ruler to draw the outline of the hollow inside the book. Again, make sure to remain well back from the edges so the book is as sturdy as possible. Now take out the inner block of pages using your craft knife. Take out the cut pages one by one, trimming the edges of any waste. Return it to the dust jacket to make it look as normal as possible and place it on your bookshelf.